When the service hit the 300 million user mark last week, Instagram vowed that it would begin permanently deleting spam accounts. It’s taken no time in doing so, but users aren’t very grateful that the photo-sharing service is a little less spammy than usual. In fact they’re demanding Instagram brings back the spam accounts so they can have their followers back. Yep, that’s right. A number of people on Instagram aren’t bothered about who is following their account, they just want to have followers. It’s bizarre and remarkably sad that people care about a false sense of celebrity on social media that much. Some people are so obsessive that they believe unfollowing the official Instagram account will somehow teach the company a lesson. 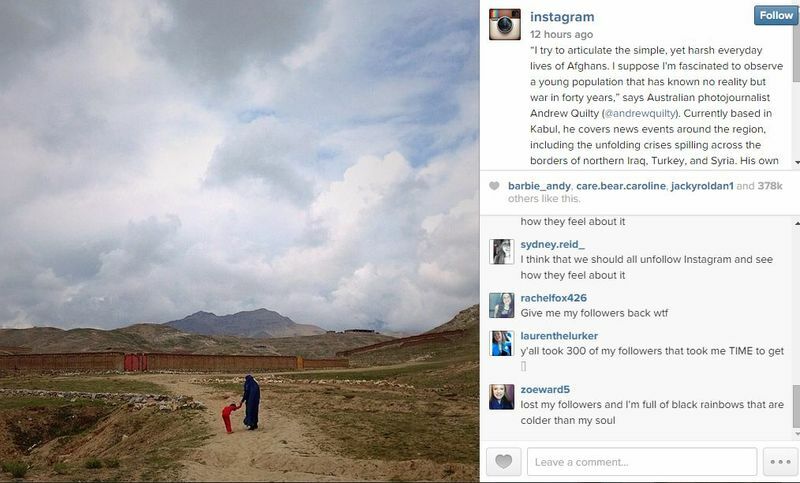 Pro tip: As long as you keep using the service, Instagram probably doesn’t care about its personal follower count. That would be like Tom caring about the number of Myspace friends he has. As many people will have guessed, celebrities have been hit the hardest — no doubt because their fame makes them easy targets for spam accounts. To make things easier to track, web developer Zach Allia threw together a graph showing just how badly various celebrities have been hit by the purge. Funnily the official Instagram account has been hit pretty hard, losing just shy of 19 million followers since yesterday. That’s just under 29% of its total follower account. But the true biggest loser was user chiragchirag 78, who started out with just over 3.6 million followers. Following the purge that number dropped to eight. The account no longer exists, disappearing from Instagram not long after losing a whopping 99.9998% of its followers. It makes you wonder what’s going on there, and the kind people at Reddit did some digging to find out. 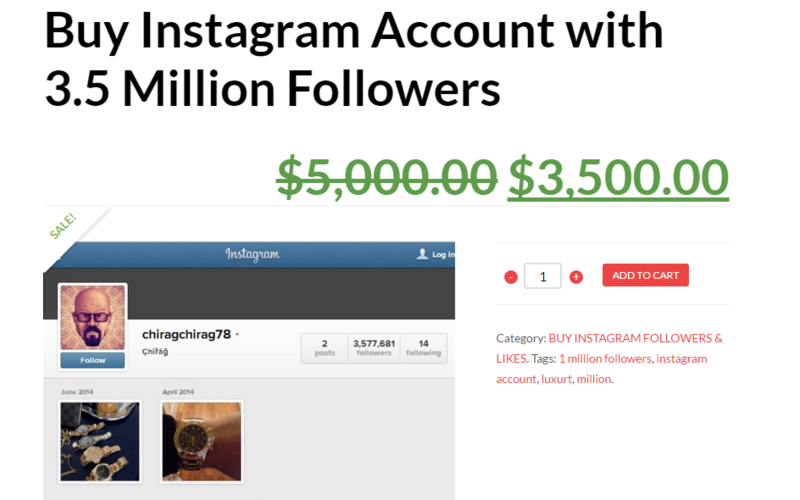 It turns out the account was actually up for sale, with the owner asking for $3,500 (£2,237) from someone so they can inherit all those non-followers. As you can see, $3,500 is actually the discounted price. Just be thankful nobody bought the account before the purge. I bet they would be feeling incredibly silly, and ripped off, right now. There are no other drops in followers that big, however. User camposwell lost 59% (3.28 million) of their followers, and Akon lost 56% (2.45 million). 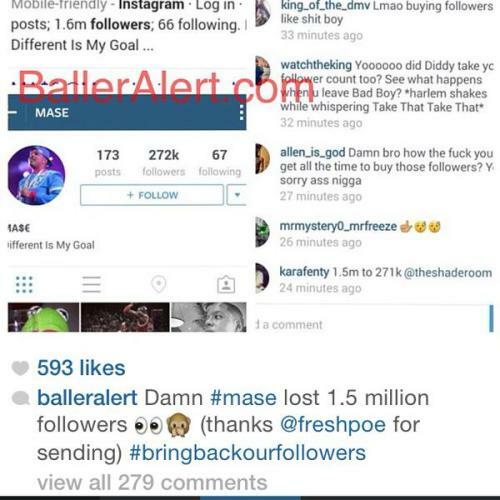 It’s being reported that Rapper Ma$e, who is not included on the graph, lost so many followers that he deleted his account altogether. While this has been disputed online (his Twitter account seems to be gone as well), his follower count apparently fell from 1.6 million to around 272,000 in 20 minutes. Whether the dip in followers prompted the delete or not, this whole situation does show that there are certain types of people who get incredibly upset when they discover they aren’t as famous as they thought they were. But not everyone is angry or upset, some people are loving the fact that we can see just how much spam was inflating follower counts. “This should be a national Holiday. We all know who bought followers, so today just corroborated everyone’s suspicions. So many people losing their followers, watching their digital worlds crumble. Today is so fun. 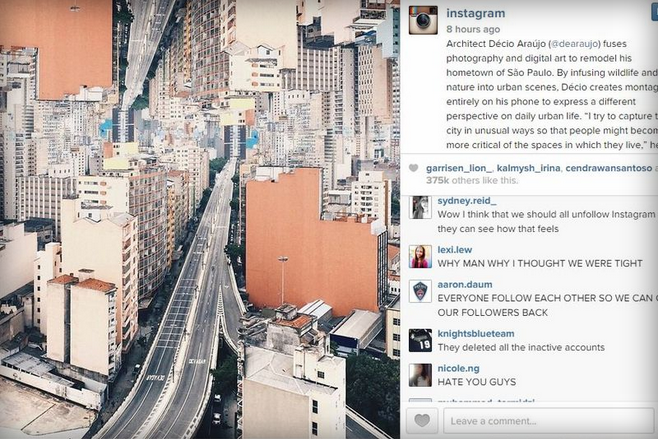 Instagram is well within its rights to delete spam, and users can’t do a thing about it. Honestly who really wants to use a social network that’s littered with spam anyway? I certainly don’t, but then again I don’t see my 174 Twitter followers as a badge of honour. I certainly wouldn’t be upset if that number dropped down to zero tomorrow. Confused maybe, but not upset.